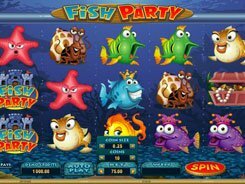 Jellyfish Jaunt is a sea-themed five-reel slot fitted with 25 paylines. 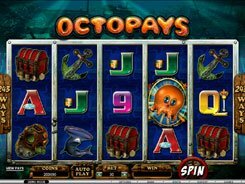 The symbols include traditional playing cards from A through 9, and themed symbols such as a jellyfish, a snorkel, a lantern fish, a treasure chest, a submarine and a lady diver. A coin denomination comes in a range of $0.01 to $0.25, with a maximum of 20 coins permitted per line. 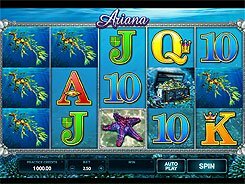 By manipulating these values, you can place a stake anywhere between $0.01 and $125 per spin. 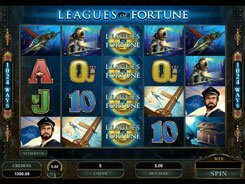 Low-paying icons (all playing cards) award x4 to x150, whilst other main symbols award up to x1000 if three to five matching icons land across any enabled payline. 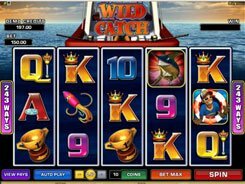 You stand the chance to hit the slot’s largest jackpot worth 9000 coins ($45,000 at max bet settings) if rolling up five wild symbols on a payline. The Submarine awards scatter wins of your total bet times x1 to x100. 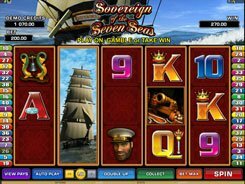 Besides, 3+ Submarines landed in any position activate 15 free spins with all wins trebled. 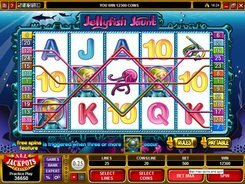 In conclusion, Jellyfish Jaunt is a well-rounded mid-variance slot with some basic features, a whopping 9000-coin jackpot and a nice artwork that is sure to keep you entertained. PLAY FOR REAL MONEY!